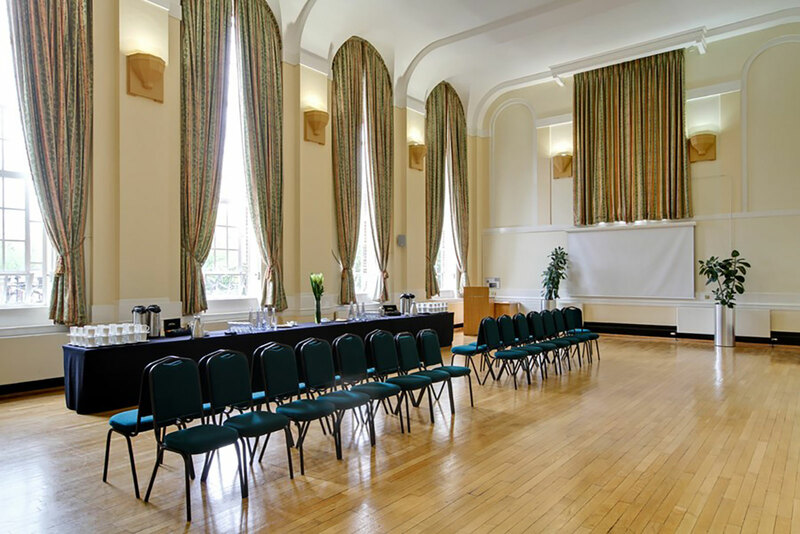 The high ceilings and huge arch windows in Herringham Hall make it one of our most coveted rooms. 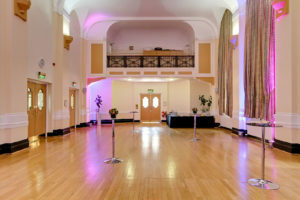 Its three sets of double doors are a huge logistical advantage for catering staff and operations team – they also serve to save the blushes of any late arrivals. 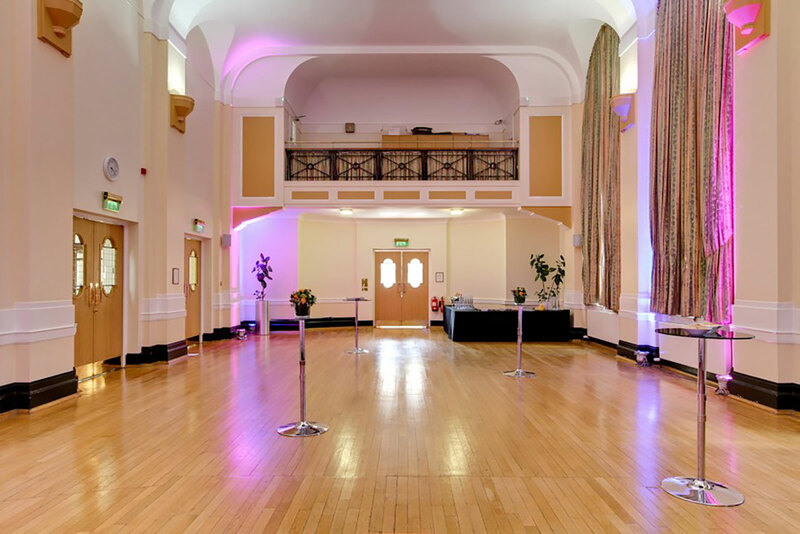 The generous dimensions of the space are emphasized by the use of clever ‘up-lighting’ and the beautiful solid wood floors add a sense of elegance and occasion to any event. 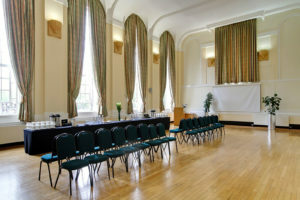 An elegant room, Herringham Hall is the perfect space to host any event from a sophisticated evening of fine dining or a cocktail party to conferences or presentations. We’re also experiencing a high demand for children’s parties in this room – there’s certainly enough space for them to run off some energy. Flooded with natural light from the bank of large windows on one side, events held in this space are infused with a vibrant energy usually associated with outdoor functions. 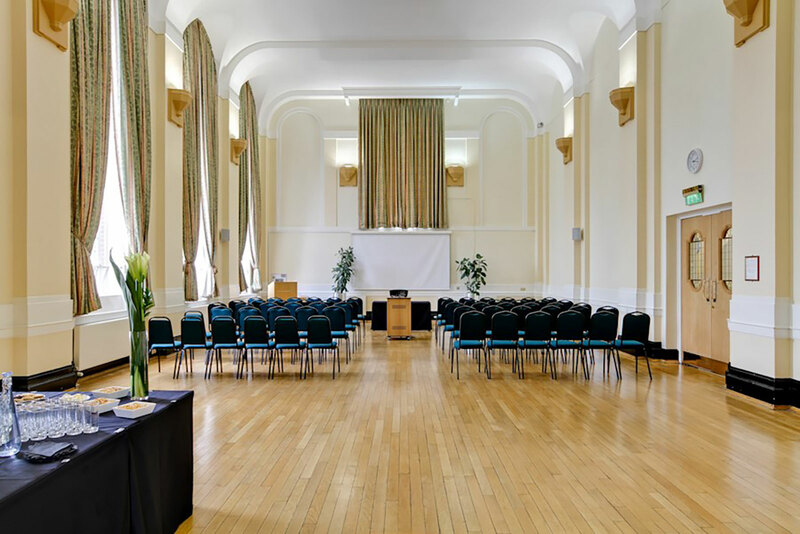 The gallery at the back of the room can be used for live music – a show-stopping touch at any party. The chefs from our fantastic in-house caterer, Vacherin, can turn their hands to anything. Whether you’re after a networking lunch, canapé reception, gala dinner or bowl food for a party, they will have a menu that will perfectly fit your brief. They are also incredibly flexible and happy to discuss any culinary ideas you might have.